New Zealand Lifestyle Blogs List. The Best New Zealand Lifestyle Blogs from thousands of New Zealand Lifestyle blogs in our index using search and social metrics. We’ve carefully selected these websites because they are actively working to educate, inspire, and empower their readers with frequent updates and high-quality information. New Zealand Lifestyle newsletter is a comprehensive summary of the day's most important blog posts and news articles from the best New Zealand Lifestyle websites on the web, and delivered to your email inbox each morning. To subscribe, simply provide us with your email address. Auckland, New Zealand About Blog The online home of NZ Life & Leisure and NZ Lifestyle Block magazines. Inspiring New Zealand stories plus advice on gardening, animals and DIY projects. Facebook fans 17,434. Twitter followers 244. New Zealand About Blog Hi, I'm Leonie and The Style Insider is your daily dose of fashion and beauty inspiration. We give you insider access to the latest fashion and beauty trends and deliver helpful how-to hints and advice on everything from where to buy the latest printed tees to how to achieve the perfect smokey eye. So if you want to look great and be kept up-to-date with everything stylish then you've come to the right place. Facebook fans 38,658. Twitter followers 2,449. New Zealand About Blog All the latest fashion, beauty, style and celebrity news, makeup looks, hair trends, NZ fashion designers, NZ Fashion Week, outfit & wedding ideas. Fashion Quarterly lives and breathes fashion and beauty. Facebook fans 24,675. Twitter followers 6,997. New Zealand About Blog Stuff is New Zealand's largest and most popular news site. Here is the Life and Style section of Stuff feature latest news and articles. Facebook fans 761,619. Twitter followers 172,094. New Zealand About Blog A fashion, style and inspiration blog; curated by Kendra Alexandra. Stolen Inspiration has grown to be one of the most well known New Zealand fashion blogs, showcasing daily outfits, travel diaries and Lifestyle content. Facebook fans 5,906. Twitter followers 135. Auckland, New Zealand About Blog The latest in fashion news from New Zealand's first fashion website. We bring you fashion and beauty advice, new season lookbooks and an online store. FashioNZ is NZ's most visited fashion website - both a portal for the local fashion industry, representing designers and retailers, and a warm, accessible online magazine. Facebook fans 10,467. Twitter followers 3,957. New Zealand About Blog A blog all about beauty from a New Zealander; you'll find skincare, makeup, nails and hair care. From one beauty obsessor to another. On cassandramyee.com you'll find a lot of beauty talk, with reviews, hauls, tips, trick, you name it. There might also be the odd lifestyle ramble thrown in there too. Facebook fans 985. Twitter followers 1,162. New Zealand About Blog M2woman is a lifestyle brand that has established itself as one of New Zealand's go-to title for forward-thinking style-driven women. Covering a range of newsworthy topics from fashion and beauty to food and travel, M2woman is a content outlet for the modern metropolitan woman. Facebook fans 19,492. Twitter followers 1,833. Newmarket, Auckland About Blog Verve Magazine is Auckland's free Lifestyle magazine. A combination of all the best in arts, culture, travel, food, home & living & more. Pick us up in print or read online. Facebook fans 6,961. Twitter followers 27. Auckland, New Zealand About Blog A dessert loving, raven-haired, modern-day pinup girl living in Auckland, New Zealand. I love to write and enjoy keeping a retro-inspired lifestyle blog. And my blog focuses on recipes and food, fashion, hair and beauty products as well as body positivity, mental health awareness and occasional travel. Facebook fans 3,879. Twitter followers 631. Auckland, New Zealand About Blog Hi, I'm Meagan! I am a plus size woman myself and as someone who has been fat all of my adult life I understand how difficult it is to find nice clothes for plus sizes. On my blog you'll find outfit posts, beauty reviews, tips on how to keep up with the latest trends, and a whole plethora of fashion and beauty related goodness as well as body positivity and self love. Facebook fans 29,602. Twitter followers 2,947. Wellington City, New Zealand About Blog Lifestyle blogger, showcasing the very best people, places, brands and venues that make Wellington the fantastic city it is. Facebook fans 7,015. Twitter followers 1,064. About Blog The Modern Girl, a lifestyle blog focusing on wellness from the inside out and the home of Hannah Rogers, a kiwi babe striving to be fitter, happier and healthier. You'll find a little bit of everything here: delicious, nutritious recipes, easy to follow fitness tips, beauty advice and travel inspiration. Facebook fans 7,800. Twitter followers 2,607. Auckland About Blog Chasing Cait is a Auckland-based personal styling business and everyday style blog helping you create confidence through style. With over 15 years in the fashion industry, Chasing Cait's Caitlin Taylor is passionate about making women feel good about themselves on the inside by making them confident on the outside. Facebook fans 12,126. Twitter followers 652. Christchurch City, New Zealand About Blog My name is Jo and I'm a fashion/personal style blogger & an early childhood teacher. I'm 27 years old and living in the city of Christchurch, New Zealand. I'm crazy about bright colour and expressing yourself through clothing. Facebook fans 1,709. Twitter followers 884. About Blog I have a degree in Visual Communication Design majoring in Advertising. I've had industry experience and been a freelance designer going on 3 years. I love meeting new people to collaborate with. If you have any design problems or concepts you'd like to discuss, develop or solve, I'd love to hear from you. About Blog I am Madeleine. A twenty-something trying to navigate through life's most notoriously difficult decade. I started this website because I wanted somewhere I could escape to for a moment, learn something new, be inspired, or just have a laugh. If The Twenties Club can give you any of those things then I have succeeded. Queenstown-Lakes District About Blog Queenstown Life is a lifestyle blog covering everything Queenstown, Wanaka, Beyond. Telling stories about brands and business alongside beautiful photography, quirky, fun language and making people feel local very very quickly. Facebook fans 12,515. Twitter followers 1,602. New Zealand About Blog We are two fun fashion loving sisters from New Zealand, and together we somehow manage to run this blog, clothing boutique YouTube channel. Facebook fans 1,621. Twitter followers 1,231. About Blog Amy Tennent launched Milo and Mitzy back in 2011. Milo and Mitzy is an online design and lifestyle magazine, seeking out the latest inspiring design for you. Milo and Mitzy has been named by stuff.co.nz as one of New Zealands top 6 design blogs. Facebook fans 13,063. Twitter followers 24. Auckland, New Zealand About Blog My name is Chloe and I'm a blogger.I have decided to set up a new blog, so that I can talk about topics that I've always wanted too, as well as continue to share my love for beauty, fashion, food and travel. Facebook fans 338. Twitter followers 4,247. Dunedin, New Zealand About Blog A natural beauty blog is written by Sarah Lilly. I have a passion for natural and safer beauty brands - those that don't contain chemicals which are harmful to us in the long term. I enjoy discovering new natural brands and products and sharing them with my awesome subscribers. I also love fashion and lifestyle so you'll find a mix of posts, ranging from "outfit of the day" posts to lifestyle products. Facebook fans 278. Twitter followers 869. New Zealand About Blog Beauty Lust NZ is a collection of all the beautiful products, people and things I come across and find myself lusting for. Facebook fans 5,254. Twitter followers 1,129. About Blog Clean Eatz NZ is a wellness and lifestyle blog. I initially started as a way to track my meals on my path to a healthier lifestyle. It's a completely honest reflection of my experiences, thoughts and feelings about a huge range of topics from travel, cooking events, markets, recipes and lifestyle products to loss and life experience. Facebook fans 86,523. Twitter followers 4,257. Auckland About Blog A Lifestyle, Engagement & Wedding Blog from an organised, inspired Newlywed. I have been obsessed with weddings from an early age, and became even more so once engaged, I work as a lawyer in Auckland, I am very organised and love to plan. Facebook fans 18,725. Twitter followers n/a. Hamilton City, New Zealand About Blog We are New Zealand best friends Nami and Pascale. We created Serendipity Ave as an online platform of our daily inspiration and street style musing. With both being big dreamers and shameless style hunters, we aim to celebrate the serendipity in fashion and not take ourselves too seriously along the way. Facebook fans 3,101. Twitter followers 196. New York About Blog This is the blog of Isaac Hindin-Miller covering Menswear, Interviews, Relationship Advice and Rants. Facebook fans 3,785. Twitter followers 5,824. Auckland, New Zealand About Blog This blog is a record of our daily stories, my obsessive picture taking and life with Ethan (13) & Nixon (4). I blog about being a woman post-35, with kids, dogs, appliances, a large vehicle and never enough time! Facebook fans 19,034. Twitter followers 1,283. New Zealand About Blog Lena Talks is a lifestyle blog, showing my favourite beauty tips, fashion favourites, events and travel, and everything I think is worth talking about. Facebook fans 1,019. Twitter followers 1,152. Christchurch New Zealand About Blog I'm Stacey a 25 year old Adventure Loving Makeup Artist from Christchurch New Zealand. I created my blog Originally called Painted Lips in December 2013, after feeling there was a gap in the market for honest feedback online, especially when it came to the Beauty & Fashion Industries. Facebook fans 11,722. Twitter followers 809. About Blog I'm a 25-year-old undercover geek who works full time in marketing for a software company. I fell into blogging because of my Instagram following with over 48,000 followers and mostly fashion, lifestyle, travel content it seemed like the right extension to my Instagram. Always happy to help any upcoming influencers so don't feel nervous to reach out always here to help out. Facebook fans 5,268. Twitter followers n/a. Facebook fans 47,894. Twitter followers n/a. Facebook fans 2,669. Twitter followers n/a. Auckland About Blog This blog will have a little bit of everything in it, lifestyle, fashion, beauty and of course my thoughts on parenthood and all our favourite things that has and have made our life with twins just that little bit easier. Facebook fans 15,455. Twitter followers 6,344. New Zealand About Blog I'm Jules, welcome to The Style Aesthetic a New Zealand lifestyle blog featuring food, family adventures, children's parties and styling. Auckland City, New Zealand About Blog My aim here is to share my experiences, thoughts, and ideas about certain aspects of life and to create a community of young female readers who can learn, empathize and be inspired to grow into the successful and wonderful women they are destined to be. Facebook fans 814. Twitter followers 92. NZ About Blog Amber's Edits aims to inspire personal flair, showcasing fresh new trends and encouraging women to find ways to express themselves through life and style. Facebook fans 6,373. Twitter followers 7,087. New Zealand About Blog Hannah started her blog, Beauty by Hannah, now Hannah Carson, in mid 2015. As a way to share her passion for makeup and beauty, her following has organically increased across all platforms. Recently re-branding to Hannah Carson reflects the growth of her blog and what her audience also follows her for, to now include style, wellness and lifestyle. Facebook fans 1,676. Twitter followers 356. Facebook fans 484. Twitter followers 163. About Blog A strange cat living in New Zealand. Lover of fashion, music, nature, writing, films and books. Be grateful, be kind. Writing my thoughts on life. New Zealand About Blog A New Zealand based fashion and lifestyle blog - Nicrific is dedicated to posting both luxury and high street brands. Facebook fans 553. Twitter followers 37. Auckland, New Zealand About Blog Malaysian-born, New Zealand-based Aki, is the face, creative mind, stylist and sometimes photographer/videographer that fuels the ever growing fashion blog known as The Sleek Avenue. Dedicated to bringing newness to luxury advertising, Aki found her brand in 2016 and has been growing her fashion portfolio as an extension of her advertising and PR agency art director career in Auckland, New Zealand. Facebook fans 846. Twitter followers 8. New Zealand About Blog I'm Katherine and this is my style blog. New Zealand portrait photographer, content creator designer. I share inspiration and thought provoking articles based on my experience in the fashion industry. As a full-time commercial and portrait photographer, I take great pride in creating all content myself. My aim is to celebrate those with unique and beautiful style. Facebook fans 1,056. Twitter followers n/a. Auckland About Blog I'm EJ and I'm a Personal Stylist working in Auckland. I love working with women to create a wardrobe that helps you feel great about how you look. Facebook fans 1,180. Twitter followers 152. New Zealand About Blog I am a mother, PR consultant/publicist, journalist, and a lover of the beautiful outdoors of New Zealand, where I live. I am also passionate about sustainability, human rights, cultural expression and fashion. MyGoodEmporium is a platform for me to share, show, provoke and encourage more mindful fashion consumption; a place with thoughts, tips, likes and discoveries of and about good fashion ethical, sustainable, fair trade, beautiful fashion. NZ About Blog I am a 26 year old lifestyle blogger, occasional photographer, wife & fur-mama currently residing in Auckland, NZ. Facebook fans 2,809. Twitter followers n/a. About Blog I am focused on creating a beautiful, simple, stylish life. I want to share my stories and adventures in hopes of inspiring my readers to doing the same. Facebook fans 803. Twitter followers n/a. Auckland About Blog Auckland based fashion blogger with Indian heritage, Sujata Singh, is the creative soul and face of Petite Perspectives. Her blog is her get away zone where anything is possible and art and creativity is the her main focus. Facebook fans 841. Twitter followers n/a. Auckland New Zealand About Blog I'm Clare. Originally from London, I'm now living in beautiful, Auckland, New Zealand where I work as a stylist, illustrator and influencer. Here you will find me talking about fashion (especially shoes and bags! ), beauty, lifestyle, interiors and of course life with my children. Facebook fans 5,509. Twitter followers 5. NZ About Blog Jaheb Barnett, a men's fashion and lifestyle blogger from Auckland, New Zealand who brings an honest, no nonsense approach for guys looking to find their own style. Facebook fans 958. Twitter followers 107. New Zealand About Blog I'm Jessica, thanks for stopping by. This is my blog, I post about all kinds of things really. Mainly things that I like and that I want to share with you! I have some regular happenings here too including Weekend Tunes, Jessica's Style and occasionally a Noms food post or product review. Facebook fans 1,898. Twitter followers 1,981. New Zealand About Blog Reviews on fashion related items, and interior design. I work as a personal fashion stylist working with busy corporate women who have demanding careers and family life who don't find the time to shop. Auckland, New Zealand About Blog Ruby Fearless Blog covers beauty reviews and tutorials, fashion shoots and video blogs, and up to date lifestyle posts. Facebook fans 5,587. Twitter followers 442. Auckland, New Zealand About Blog Gurlinterrupted is a New Zealand Fashion, Beauty, Lifestyle Blog that covers everything which includes style edits, book and film reviews, event coverage & food. Facebook fans 2,055. Twitter followers 1,423. New Zealand About Blog Quarterly print & online magazine produced in New Zealand & distributed globally with the latest fashion, beauty, lifestyle & culture inspiration. Facebook fans 49,697. Twitter followers 7,250. Hamilton, New Zealand About Blog The Webbers Living The Good Life in New Zealand since April 2004. NZ About Blog Storyteller. Flower lover. Magazine editor turned actor. Writer. Modern Family binge watcher. Blogger. Fairytale believer. Loves a feed. Facebook fans 56. Twitter followers 1,122. Richmond,Nelson, New Zealand About Blog Ethical intelligent fashion for the Woman who knows what she wants and is concerned about supporting NZ Made Fashion and looking after the environment. Sustainable boutique designer women's fashion clothing designed in New Zealand. Facebook fans 796. Twitter followers 30. New Zealand About Blog I'm Antoinette, I am a fashion, beauty and travel blogger from New Zealand. I have been blogging for over a year and have been working in the fashion industry for over five. I started this blog to share my thoughts and style advice. Facebook fans 2,317. Twitter followers n/a. Vancouver/New Zealand About Blog I'm a 31yr old New Zealander who has just returned home to Auckland from Vancouver, Canada. The purpose of this blog is to share my findings, review online stores and give other women the confidence to use them. My opinions are my own, and my reviews are honest if I am reviewing gifted/supplied items I will indicate that upfront in my post. Facebook fans 2,198. Twitter followers 216. About Blog theStyleJungle is a popular lifestyle and travel blog, currently based in New Zealand. It is an inspirational blog where travel, fashion and lifestyle articles are accompanied by professional photos and videos, digital innovations and personal stories. 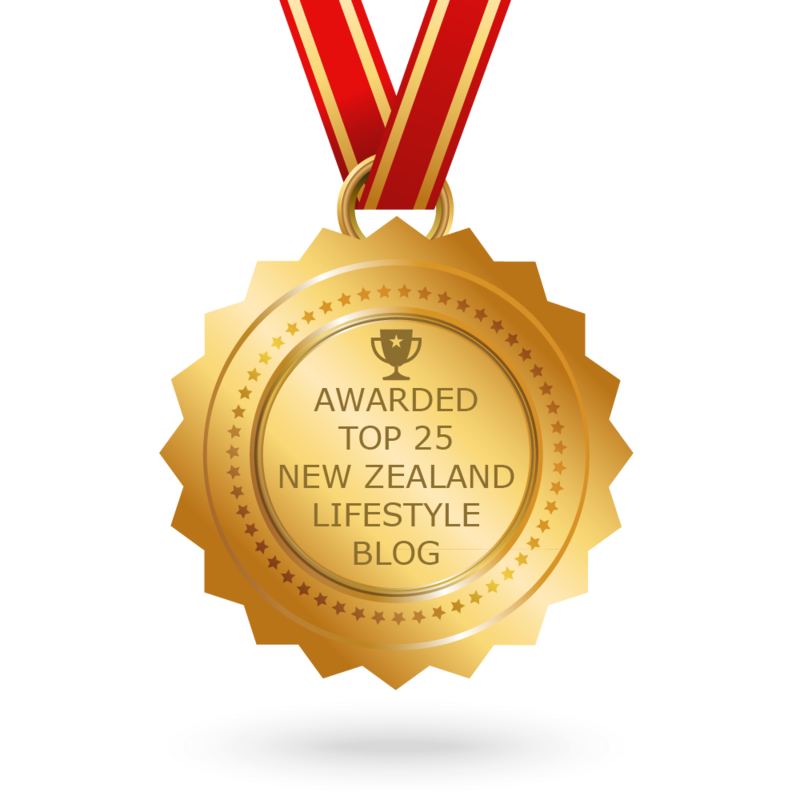 CONGRATULATIONS to every blogger that has made this Top New Zealand Lifestyle Blogs list! This is the most comprehensive list of best New Zealand Lifestyle blogs on the internet and I’m honoured to have you as part of this! I personally give you a high-five and want to thank you for your contribution to this world.